This week I’m going to change it up and take on a currently running show: AMC’s anticipated Breaking Bad spin-off, Better Call Saul. A quick summary: Saul Goodman, Walter White’s slinky lawyer from Breaking Bad, gets his own origins story, except this time around he’s known as Jimmy McGill. McGill is trying to start up his own law practice while taking care of his brother, Chuck, a lawyer who suffers from a mysterious sickness. McGill works as a public defender, earning $700 per case and working with stubborn prosecutors. He’s tired of his vanilla lifestyle, but everything changes when he stumbles onto a scamming opportunity that puts him in contact with some local drug pushers. To be honest, it’s kind of hard to pair Better Call Saul at this point. There have only been three episodes, and the show hasn’t fully established its own personality yet. But it’s already making strides, which is far more impressive than most other shows, much less a spin-off. It’s got the visual style of its predecessor, to be sure. And Goodman (aka McGill aka Bob Odenkirk) is a familiar face to any fan of Breaking Bad. But Better Call Saul is quickly showing the major differences that distinguish it from its darker cousin. The material is heavy (sickness, justice, truth), but it’s also mixed with Odenkirk’s trademark wit. It was billed as a dark comedy, so it’s good to see the show-runners delivering on that promise. The CoCoNut PorTeR follows suit in the sense that it’s a dark beer, but there’s enough flavor to put it above most other porters. 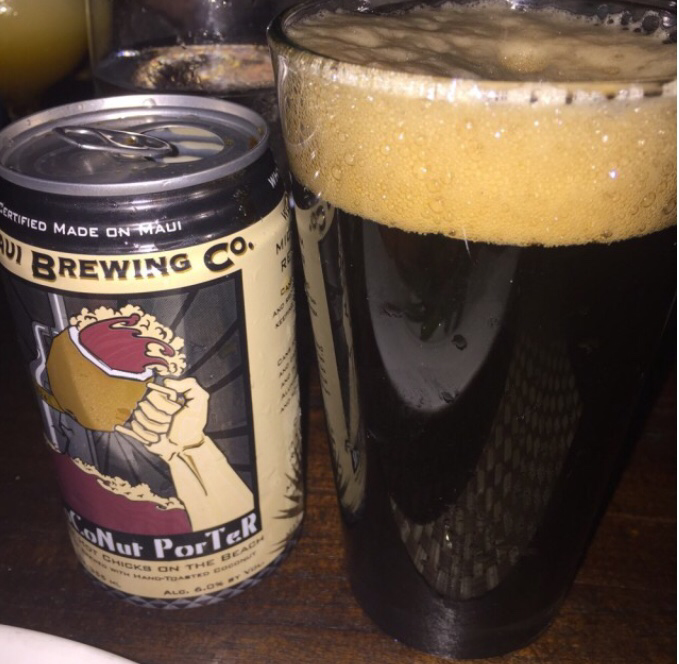 Brewing coconut into beer isn’t a revolutionary idea, but Maui Brewing Company does it better than anyone, especially with this porter. It’s not too carbonated, giving it a smooth, chocolate feel with heavy coconut aftertaste. If you’re a dark beer person, you’ll love it. And if you’re not, this may be a beer to take a chance on.